Great pricing on everyone's favorite herd management software! Monthly subscription now available! *License does not expire but cannot be moved to another computer unless technical support is current. "Thanks a bunch from us ole cow punchers in Limestone, TN." Now just $14.95 a month! Now you can have DairyLive for just $14.95 a month! 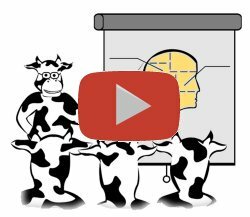 Click here to find out how a DairyLive subscription works. Access your herd data right from your smart phone! Click here for details on getting DairyLive for your goat operation. DairyLive® is now a registered trademark! DairyLive puts you in control of your dairy management activities. 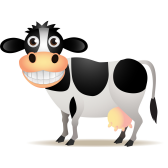 According to a recent survey, 9 out of 10 cows preferred DairyLive to any other herd management software! We think you'll agree!